Green Shed Diaries on tour! It’s been a hugely busy 10 days since my last blog post and I’ve found it hard to find time to tell you about my recent adventures! Adventure No1 began last weekend and saw us taking the 10:20 train from London Waterloo to Axminster in Devon. Fans of River Cottage will recognise the location as this is where the HQ is based and our final destination! 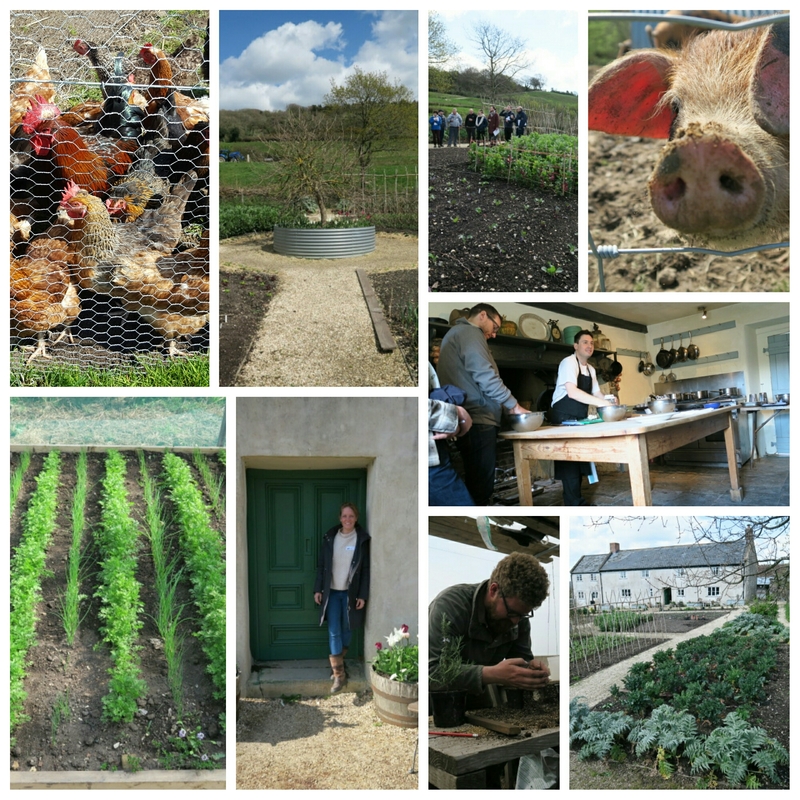 In a nutshell, the one day course is all about Will sharing his expert knowledge of growing organically, learning new ways to prepare and eat home grown produce in imaginative tasty ways as well as meeting a room full of like minded people. My husband even ate (and liked) beetroot which is a first! What set this course apart was the stunning location, provenance and generosity of knowledge shared. 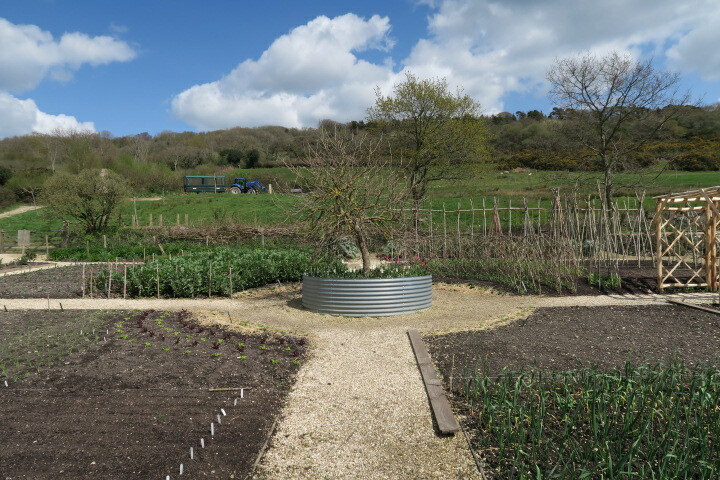 This course was without doubt all about helping us succeed in our endeavours to grow our own fruit and veg, in our own way rather than the ‘right way’. The kitchen garden itself is a beautiful and tranquil place and Nettle the extremely inquisative cat who’s tenacity to join the group as the 20th participant, also made an endearing companion for the day. The highlight for me was seeing for myself exactly how the soil of the highly productive kitchen garden is worked and prepared. It’s actually changed my mind a little as to whether to dig the plot or not as I had until recently practiced the no dig method. I’ve now come to realise I really do need to incorporate A LOT more organic matter considerably deeper than the two inches our hard working East London worms have managed in the past two years if I’m ever going to transform our extremely dense but well mineralised clay soil into the open, well structured soil we need to have a highly productive allotment. 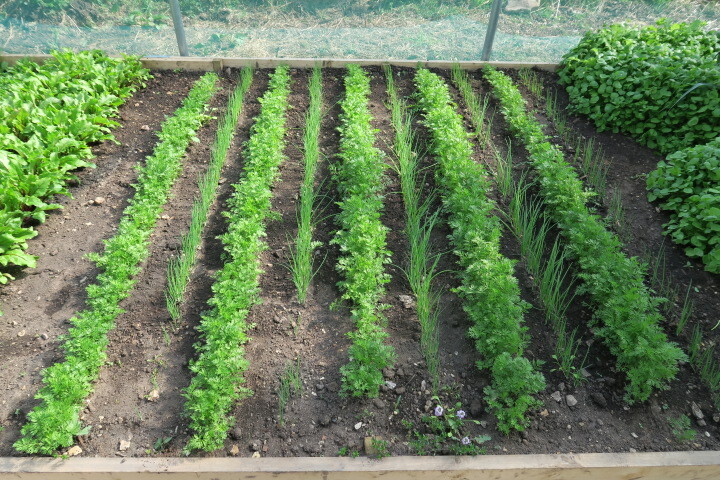 I also picked up loads of ideas to maximise space, different varieties to try, pest control, how to extend the cropping season… I could go on.. and on. My head is now buzzing with activity and I’ll be sharing some of these ideas in the coming months here on my blog but if you have an opportunity to attend the course I highly recommend it. I really do. Part two of my adventures will have to wait till another day so stay tuned for news from our wildlife garden!